Human implants are among the technology applications that deserve to be carefully assessed as they have the potential to help us treating many devastating human conditions, but also to assist us reaching a stage beyond current human capacities and abilities. Such a development would introduce many challenges for society, governments, and the individual. Human implants can blur the line that lies between what is acknowledged as therapy and enhancement. The lack of a clear distinction between therapy and enhancement will confront governments with new regulatory challenges in public health and funding technology research. This brings to the fore issues of justice, such as how to close instead of widen the ’technology-divide’ and how to define priorities for funding, distributing, and using human implants. Given the potential impact that new and improved human implants can have for the individual and for society, a better understanding on the direction and reasons for developing such applications is needed to handle them in a wiser way. One way of assisting such a development is by rethinking our priorities when using technology for human enhancement applications. One of the most interesting areas of technology is human implants. This is because these applications can be used not only for treating certain medical conditions in order to bring someone back to the ‘medical norm’1, but more importantly because they can be used to take people beyond it, namely enhancing human performance and cognition. Even if we accept that most technologies have enhancing capabilities, human implants are among the technology applications that can take enhancement to a different degree not seen before. This will confront governments with new challenges for developing policies and regulations related to public health and public funding involving technology usage. Moreover, it puts more urgency on moving the therapy-enhancement debate – which is seen as highly controversial (Coenen et al., 2009; Roco & Bainbridge, 2002)—to a space in which political decisions can be shaped and taken. 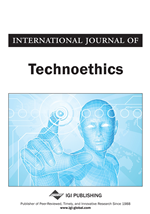 In this regard technoethics, ‘as an interdisciplinary field concerned with all ethical aspects of technology within a society shaped by technology’ (Luppicini & Adell, 2008), plays a key role. There are three main reasons for technoethics playing such an important role in the use, development and funding of certain technological applications, such as human implants. The first one is connected to the fact that human implants are an area in which technology is incorporated (merged in a way) with the individual in question, raising many ethical concerns. The second reason has to do with the social, cultural, political and economical forces embedded in our ethical reflections behind the choice, development and/or funding of certain kind of human implant over other possibilities. The last reason considered here, deals with the fact that human implants are no longer used only for so called medical purposes, but they are envisioned to be used for entertainment, the military and even helping an individual to attain capabilities beyond the current range human capabilities (i.e., technological posthuman). This paper will argue for an approach that does not rely on the idea that therapy and enhancement are mutually exclusive concepts or as if any distinction could be made between them—ideas that have generated the ongoing therapy-enhancement debate. Instead, it argues for a different approach, an approach that acknowledges that if a distinction is needed for policy making purposes, it needs to be a dynamic and context dependent one. Such an approach could allow us to reach a consensus on how to prioritize the development, distribution and applications of human implants. Moreover, it will seem to respond in a better way to social changes, the plurality of societies and adapt to the context of the usage of a given implant.